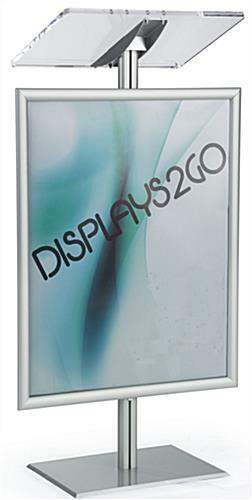 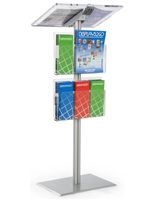 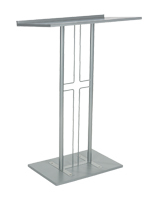 This economy podium with silver poster frame is a single sided aluminum speaking stand. 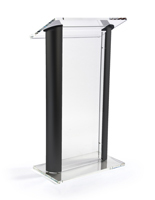 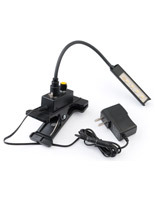 Enhance a lecture with this beautiful lectern with convenient snap framing. 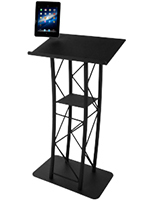 Each of these floor standing post-and-base systems feature an anodized finish that holds up with frequent use. 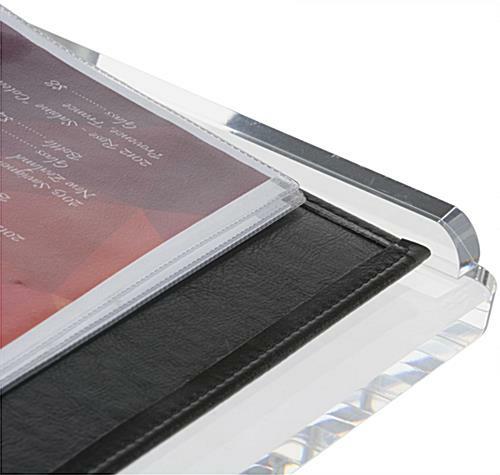 The durable acrylic reading surface is generous enough for holding notes and supporting publications. 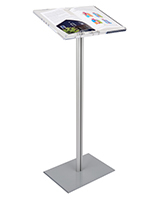 The easy-update sign holder is sized 22" x 28" for posters. 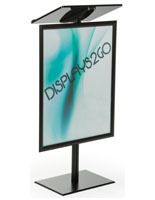 Non-glare lenses protect graphics so messaging stays professional looking. 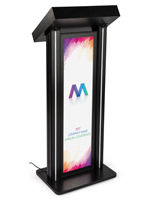 Great for menus in front of restaurants, single musician performances, this affordable display helps promote business in style, without breaking the bank. 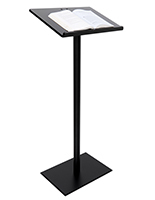 18.0" x 44.0" x 13.0"